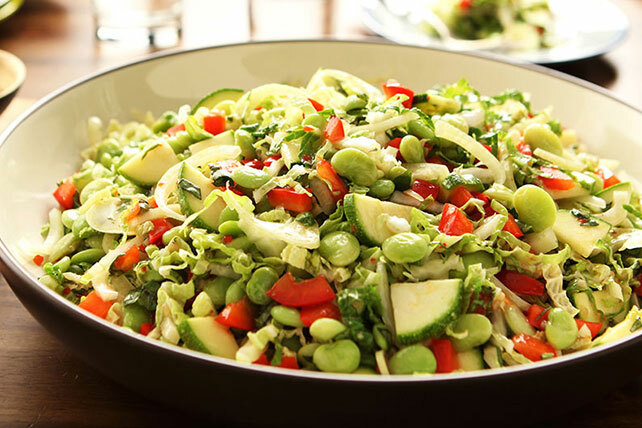 Lima beans team up with cabbage and crisp red peppers to create a refreshing Healthy Living slaw that is sure to please. Cook beans as directed on package; cool. Combine all remaining ingredients except basil in large bowl. Add beans; mix lightly. Serve with barbecued meat and cornbread.